Who’s Got Hold of Children’s Imaginations? To the Sage Gateshead yesterday for BBC Radio 3’s Free Thinking Festival, and an event with acclaimed novelist Patrick Ness on the topic of ‘Who’s got hold of children’s imaginations?’ The discussion was chaired by Radio 3 Night Waves presenter Matthew Sweet (to the left of the picture). Matthew started the show by asking us about the nature of imagination. I noted that the ability to inhabit alternative realities used to strike psychologists as an odd thing from an evolutionary point of view: why should an organism whose existence depended on representing reality accurately be so good at inventing alternative worlds? The storyworlds that children create in making sense of the discourse of others are the same as they use in talking about the past and future, and in creating the imaginary worlds of pretence, role play and narrative. The little scientist is usurped by the little novelist. Or perhaps, in the end, fiction-making has more than a little of science about it. To get on in the world, the child, like the novelist and the engineer, has to build her models and see how they run. Patrick then read from his new novel More Than This, which begins with the protagonist Seth’s attempts to reconstruct his past life in the moments following his own death by drowning. One interesting thing about this powerful sequence is that Seth is doing his remembering entirely on his own, without the cues that are usually provided by other people. I noted that in many other cases memory is a social process. We talked about how we are constantly negotiating our accounts of the past in collaboration with other people, and how talking about the past with parents might be one of the ways in which children get a foothold into doing autobiographical memory. The creative, reconstructive nature of memory came up many times in the conversation, as did the clear links between imagination and memory. We talked about the role of children’s imaginary companions in helping them to work out how the world might be as well as how it is. We also talked about why children’s imaginations can seem so dangerous to us adults, and about whether we should impose any limits on children’s freedom to imagine. I mentioned the growing body of scientific research that lends support to what we probably already knew at an intuitive level: that reading fiction enhances empathy (see here for a methodological critique). I think there can be a rather reductionist agenda at work here, the idea that a truth is somehow ‘more true’ if it can be demonstrated neuroscientifically. Books are understood by people; they’re not understood by neurones. As Neil Gaiman recently reminded us in his eloquent lecture for the Reading Agency, imagination, particularly in childhood, should be valued for its own sake. 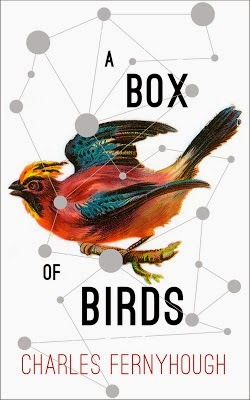 I was asked to address the question of who controls imagination and memory with a reading from A Box of Birds, my novel addressing the implications of neuroscience for our understanding of ourselves. At the heart of the novel there’s a conflict between the idea that we are autonomous selves, narrating and giving shape to our own stories, and the idea that we are biochemical machines, bundles of chemical reactions and neural firings. I wondered what would happen if you took a character who really believed that her experience could be understood in terms of neuroscientific processes, and saw what happened to that view when things started to happen. I read a short section from towards the end, where Yvonne has been given a device that allows her to manipulate her own memory—leaving her to face some complex moral choices. I’ve done a lot of promotion of my non-fiction book this year, and so it was great to read from the novel and hear people’s positive reactions. Matthew did a fabulous job of steering the conversation, and Patrick was on excellent form despite a heavy cold. The whole thing was huge fun and generated some very perceptive audience questions. As you’ll see from the audio paraphernalia in the above picture, the event was recorded for broadcast on BBC Radio 3’s Night Waves programme. It will be going out at 10pm on Friday 8 November.